If you step into that cinema - you're an Avenger! Science buddies got competition from a new faction - Super powered Übermensch bros. 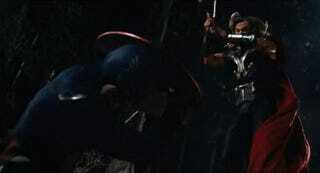 Which totally makes sense - the chemistry between Cap and Thor is great. Hawkeye!!! Who would have thought? It was a little - just a tiny little bit - confusing in the second act. Lots and lots of plot lines and characters.... 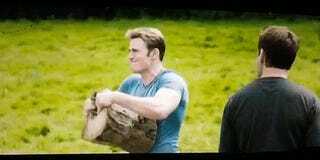 I heard Whedon had to cut it shorter and it shows a little. But that’s complaining on a very high level. Spader - is amazing. 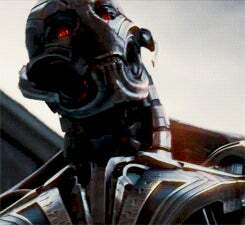 So is the Special FX team, it’s hard to tell how much of the credits of Ultron being so much Spader goes to he actor and how much to the team, but it worked. Flawlessly. Such cool. So much snark. Head tilt! And there we are. New team members.... old ones getting ready to retire.... We may see them all back once more, because.... someone wants to do things himself, at last, but the future seems safe! Oh - and has Stan Lee - actually ever said his catchphrase in one of these cameos before? :) That was about bloody time.